When Charles Dickens & Edgar Allan Poe Met, and Dickens’ Pet Raven Inspired Poe’s Poem "The Raven" | Open Culture When Charles Dickens & Edgar Allan Poe Met, and Dickens’ Pet Raven Inspired Poe’s Poem "The Raven"
“There comes Poe with his raven,” wrote the poet James Russell Lowell in 1848, “like Barnaby Rudge, / Three-fifths of him genius and two-fifths sheer fudge.” Barnaby Rudge, as you may know, is a novel by Charles Dickens, published serially in 1841. Set during the anti-Catholic Gordon Riots of 1780, the book stands as Dickens' first historical novel and a prelude of sorts to A Tale of Two Cities. But what, you may wonder, does it have to do with Poe and “his raven”? Indeed Dickens’ raven, “who had an impressive vocabulary,” inspired what Dickens called the “very queer character” in Barnaby Rudge, not only with his loquaciousness, but also with his distinctively ornery personality. 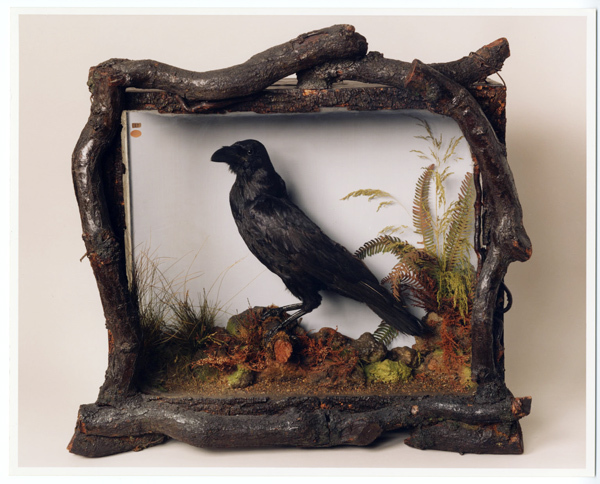 Dickens’ daughter Mamie described the raven as “mischievous and impudent” for its habit of biting the children and “dominating” the family’s mastiff, such that the bird was banished to the carriage house. Image courtesy of the Free Library of Philadelphia. 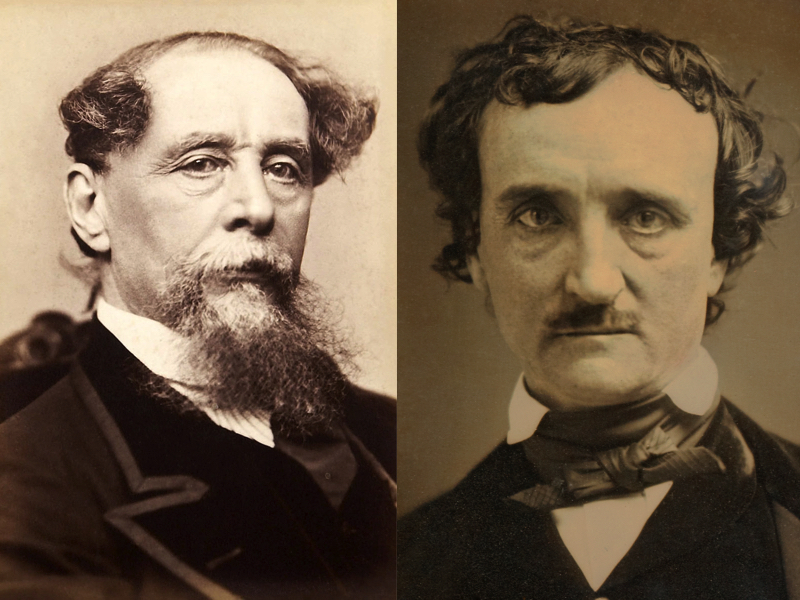 Where we often find surprising lineages of influence from author to author, it’s unusual that the connections are so direct, so personal, and so odd, as those between Poe, Dickens, and Grip the talking raven. I’m especially struck by an irony in this story: Poe courted Dickens in 1842 “to impress the novelist,” writes Sidney Moss of Southern Illinois University, “with his worth and versatility as a critic, poet, and writer of tales,” and with the aim of establishing a literary reputation, and publishing contracts, in England. While Dickens seemed duly impressed, and willing to help, nothing commercial came of their exchange. Instead, Dickens and his raven inspired Poe to write the most famous poem of his life, "The Raven," for which he will be remembered forevermore. He doesn’t mention Grip. In fact, he had initially thought to make the bird a parrot! Better check your facts. Grip died in 1841. Dickens came to American the first time in March of 1842.